Corn Parfait — Good Food Makes Me Happy! 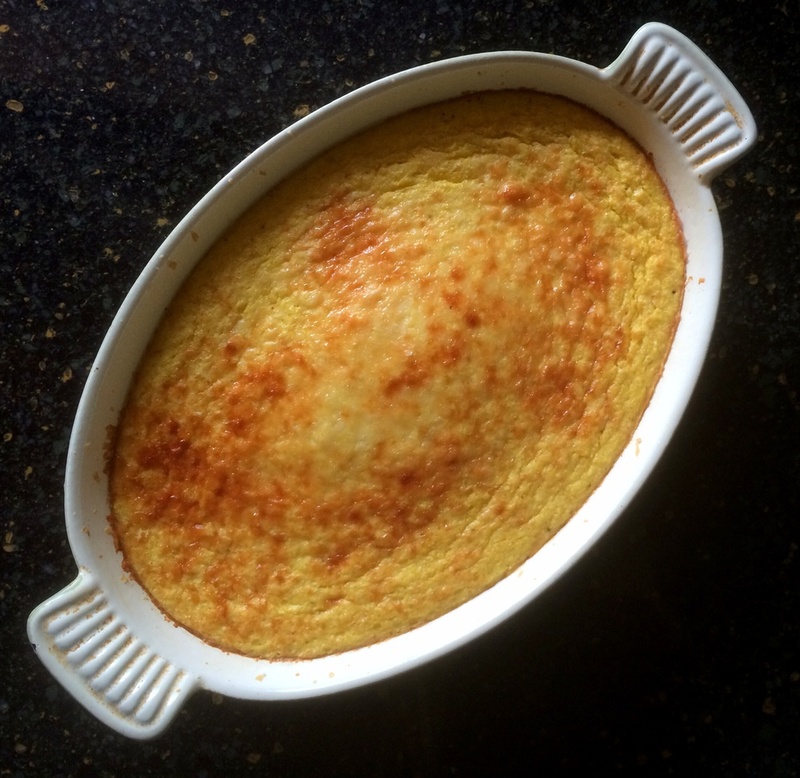 What a great way to use up all that fresh summer corn – Jacques Pépin's "gratin" of corn parfait recipe. Light, fluffy, the essence of sweet corn flavor – delicious! Goes very nicely with the feta stuffed lamb burger on a bed of greens. Preheat oven to 375-degrees and butter a 1 quart gratin dish. Cut the kernels off the ears of corn and put them in a food processor and puree – while it's running, add the eggs and flour. Turn off processor and add the salt and pepper. Turn on again and add the half and half through the feed tube and process for another 5-10 seconds. Pour into the buttered gratin dish and grate fresh parmesan generously over the top of the dish. Place gratin dish on a cookie sheet and put in the oven. Bake for about 30 minutes or until just set, puffy, and nicely browned on top. – Jacques Pépin, "More Fast Food My Way"